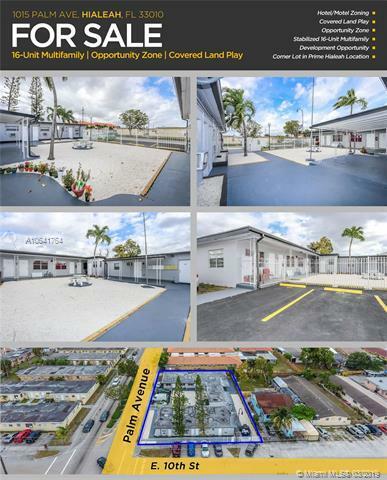 16-Unit multifamily in an Opportunity Zone on a commercial-zoned corner lot. 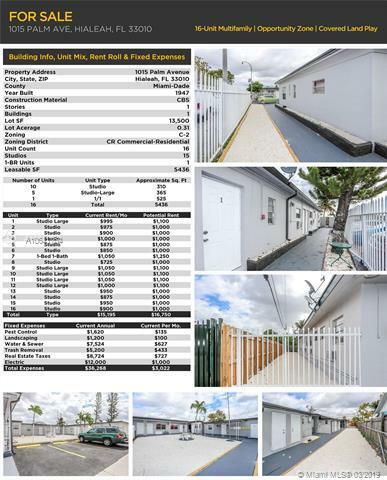 Located in a prime Hialeah commercial district with frontage on Palm Ave and East 10th St. 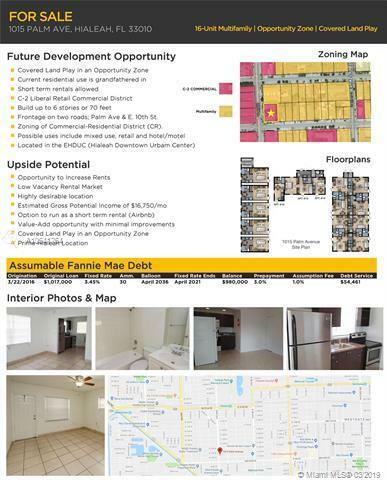 The zoning is C-2 (Liberal retail commercial) and the property is located within the EHDUC (Hialeah downtown urban center district). Possible development or adaptive re-use includes hotel, motel, ALF, retail, commercial, or mixed-use. Short term rentals are also allowed. Build up to 6 stories or 70 ft. on this lot. This is essentially a covered land play with existing cash flow in place. The property is fully occupied and producing gross income of over $15,000/mo with an opportunity to increase rents in the future. This is an extremely low vacancy rental market. Features assumable Fannie Mae debt at 3.45% fixed.